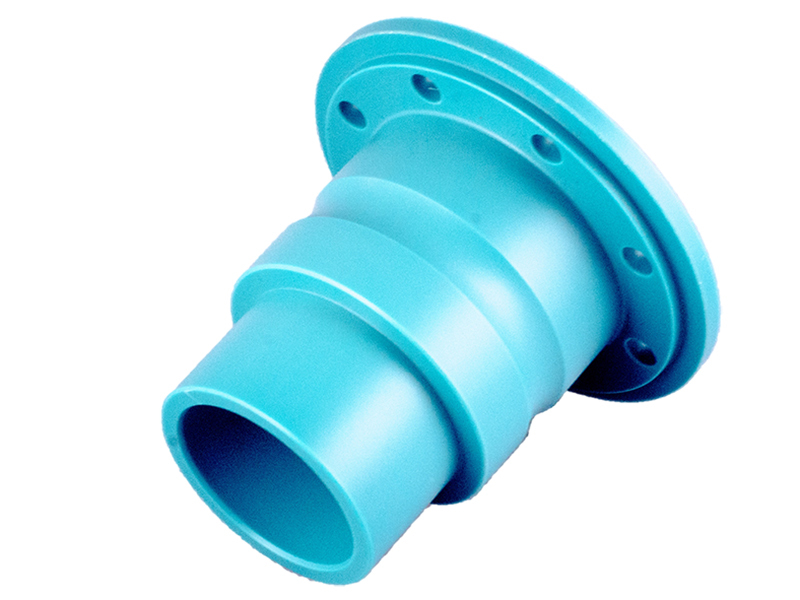 M&P can make custom Turcite Machined Parts to your specifications or drawings. We have a plastic machining facility; Turcite® is one of the plastics we can use to make parts. Turcite® is a self-lubricating thermoplastic bearing material manufactured by Trelleborg Sealing Solutions U.S., Inc. These materials are cost effective, chemically resistant, wear resistant, and can be used in a wide range of temperatures. There are two grades of Turcite®: Turcite® A and Turcite® X. Both grades are acetal-based materials, and their properties and applications can be compared to Delrin AF®. Turcite® materials are only available in rod form. Turcite® A is suitable for moderate to heavy loads at moderate speeds. Turcite® A performs well under vibratory and dynamic loading and is readily machinable. Turcite® A has higher wear resistance than Turcite® X.
Turcite® A is BLUE in color. Turcite® X excels in low load and high speed applications. Turcite® X can be easily machined and has lower friction than Turcite® A.
Turcite® X is RED in color. Turcite® Machined Parts are made in a completely controlled environment. Turcite O-rings, Turcite Seats, Turcite Bushings, Turcite Bearings, Turcite Guide Blocks, Turcite Wear Pads, Turcite Washers. Turcite® is a registered trademark of Trelleborg Sealing Solutions U.S., Inc.